Registration for this training has ended. View the schedule of upcoming trainings. Celine Antoine is back again to lead our 200-Hour Teacher Training program, and this time she’s joined by trainer Caroline McConnaughey Smith. Join Celine and Caroline at our Soho Teacher Training Center in NYC and learn to teach yoga this January! Learn how Celine incorporates Iyengar’s precise alignment with breath-based flow of movement in the YogaWorks Method, and explore new concepts with Caroline as she brings her mix of energetic asana, functional movement, mindful strength training, and breath awareness to the classroom. Saturdays & Sundays | 12:00 p.m. – 6:30 p.m.
Wednesday | November 7 | 12:00 p.m – 2:00 p.m. | Soho Studio Click Here to register! Wednesday | December 19 | 6:00 p.m – 8:00 p.m. | Soho TT Center Click Here to register! See if this training is a fit for you. Meet the trainer, get an overview of the program curriculum, and learn the benefits of being a student at YogaWorks. The complimentary session begins with an hour-long practice taught in the YogaWorks method followed by a Q&A session. Please note that you may only RSVP online starting 31 days prior to the session. If you’d like to sign up before then, please contact us to reserve your space! Payment Plans available off the full price plus a $50 admin fee (50% of tuition must received one week before start date). Contact us for more details. Students who have graduated from a previous Yoga Alliance approved 200-hour program are eligible to receive 50% off the full tuition price. We recommend 1 year of consistent yoga practice and require a minimum of six months of a consistent yoga practice or equivalent training. A native of France, Céline has been living in New York City since 2000. Passionate about traveling and learning about new cultures, she first discovered yoga during one of her journeys to India. She instantly fell in love with the philosophy of yoga, embracing both its spiritual and physical aspects. She has been a dedicated yoga practitioner ever since and has committed herself to a conscious exploration of Yoga. After several trainings in Rishikesh, India with Karin O’Bannon, an Intermediate Senior Level III Iyengar yoga instructor, Céline went on to obtain her 500-hour Yoga Alliance registered certification in New York. She’s now an ERYT-500. A lifelong student, she’s currently studying with Alison West as well as with Rodney and Colleen Yee Saidman. Céline is also a Yogaworks Certified instructor and a teacher trainer for the Yogaworks Teacher Training programs in the USA and in France. She’s regularly leading trainings in both countries at the 200-hour and 300-hour level with YogaWorks. Céline’s teaching style emphasizes the Iyengar precision of alignment combined with a breath-based flow of movement. Her knowledge of anatomy and kinesiology allows for a deep understanding of the physical body as a whole. She’s certified in back care and scoliosis through the Yoga Union backcare center and is a Yoga Tune Up certified teacher, style promoting self-care and safe movements created by Jill Miller. For Céline, yoga is about reconnecting with our true self through cultivating awareness. She sees yoga as a pathway to greater harmony in life. Learn more about Céline Antoine at celineantoineyoga.com. Caroline is a YogaWorks certified yoga and movement educator living and working in New York City and Eastern Long Island. Caroline was introduced to yoga in 2003 as a way to fulfill a Phys. Ed. requirement while in college. In 2006 she moved to Italy in search of and in love with all things Italian. As you can imagine Caroline’s yoga practice took the back seat to art, architecture, and the idea of dolce far niente. Despite being a born and raised New Yorker, when Caroline moved back in 2010, she seemed to have forgotten the intensity and high frequency hustle of New York City life. It was that jolt that quickly returned her to yoga and allowed her to realize that it was much more than a fitness regimen. Yoga provided Caroline an outlet for grounding and stability in an otherwise upside down time of life. Caroline quickly learned it was the moments on her mat that gave her the time and the ability to get her feet on the ground and see her purpose more clearly. She now has over 1200 hours of training as a yoga teacher and teacher trainer with certifications through YogaWorks, Yoga Shanti, and the Urban Zen Foundation. Caroline loves exploring new concepts into her personal practice and sharing that inspiration with her students and their journey on the mat. 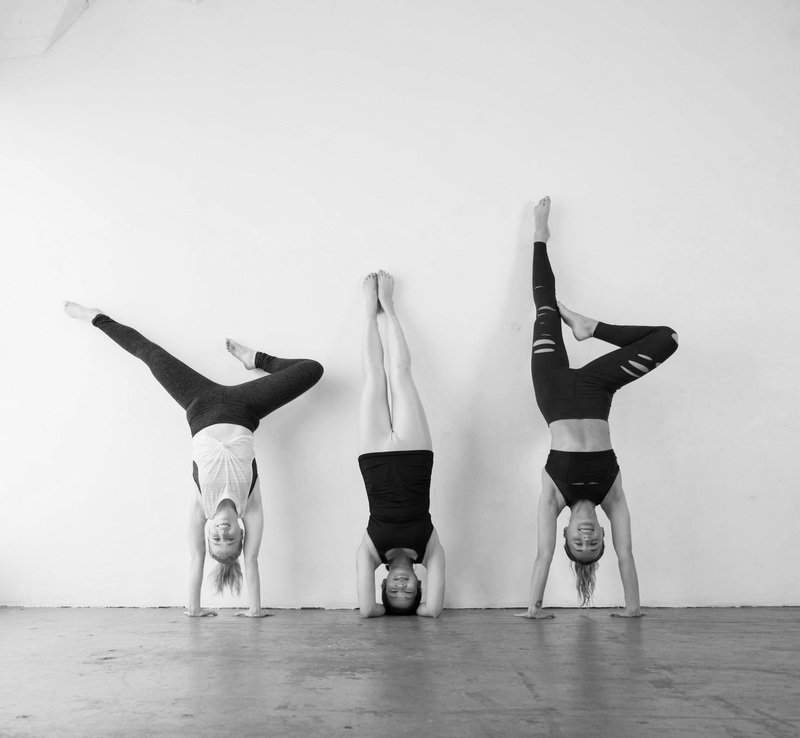 Caroline’s classes are a playful blend of energetic asana, functional movement, mindful strength training, breath awareness, and self-study. Her teaching style is inspired by my understanding of alignment, anatomy and an interest in curating creative and intuitive sequences. When she not practicing and teaching yoga, Caroline is going to museums and galleries, cooking with friends and family, riding her bike, playing outside with her dog, and volunteering at local animal shelters and community centers. Learn more about Caroline McConnaughey Smith at deliciousyoga.org.